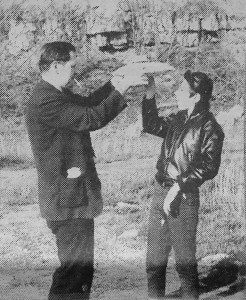 In the mid-1960s, there was a film taken of a “bell-shaped” flying saucer that was widely shown on television, at conferences and college lectures, written about in UFO magazines and books. By 1980, the film had all but vanished, and is largely forgotten today. When it is cited, the details are often wrong with the incorrect year or location given. What are the facts, how was this widely-known saucer film “silenced,” and by whom? 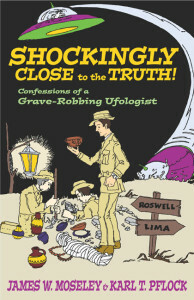 Jim Moseley got started in the flying saucer field in 1953 with the intent to co-author a book with Ken Krippine. Jim invested much time and effort, traveling across the USA interviewing prominent UFO figures, as well as some of the biggest fakes, frauds and phonies, such as Frank Scully, Silas Newton, Mikel Conrad and George Adamski. The book never happened as planned, but the trip provided contacts, material and experience that served as the foundation for Moseley’s flying saucer magazine, Saucer News. 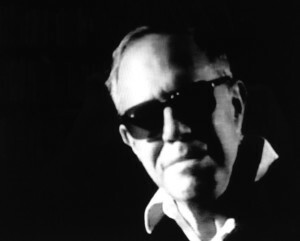 John Sheets, as seen in the Lost Creek saucer film. 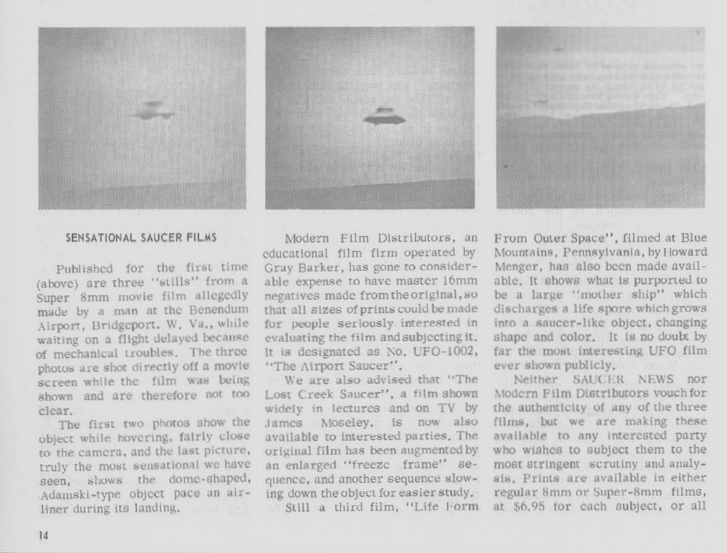 “For the first time in our nearly thirteen years of publication, we have been able to obtain an apparently genuine movie film of a flying saucer. The film, taken with taken with a Bolex camera in 16 mm. color, was made on the afternoon of July 23rd, in a rural area called Lost Creek, located near Clarksburg, West Virginia. The photographer has asked to remain anonymous. At the time of the sighting, he and an employee named John Sheets were driving through Lost Creek in a Chevrolet pick-up truck, on their way to photograph a little league baseball game, as a favor to a mutual friend. As they were driving along a lonely stretch of road, a strange object began following the truck at very low altitude. The camera was not loaded, and by the time Sheets’ boss loaded it, the object was gone. They stopped the vehicle and waited or several minutes, apparently with some sort of premonition that the object would return. Eventually it did, and several feet of film were shot. During the filming, the object was again at very low altitude. Sheets says that it looked to be about ten feet in diameter, though to o us it appears to be smaller. Trees visible in the background can be used as reference points; and a photographic expert in Clarksburg has declared that the object is at least twelve feet in diameter in his opinion. 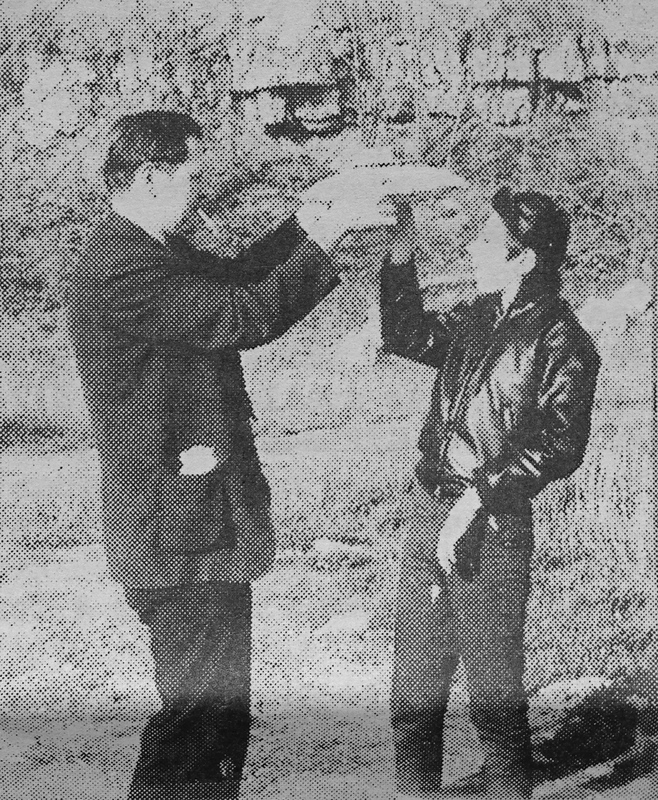 In the course of the filming, the photographer kept shifting his camera from the sky to the ground, apparently thinking that the object was going to land. According to Sheets, it did not land, but shot off again, at high speed, making a strange humming sound. Afterwards Sheets was ill for two days, either from the excitement or from some after-effect of the close sighting. The film was generally well received by the audience. 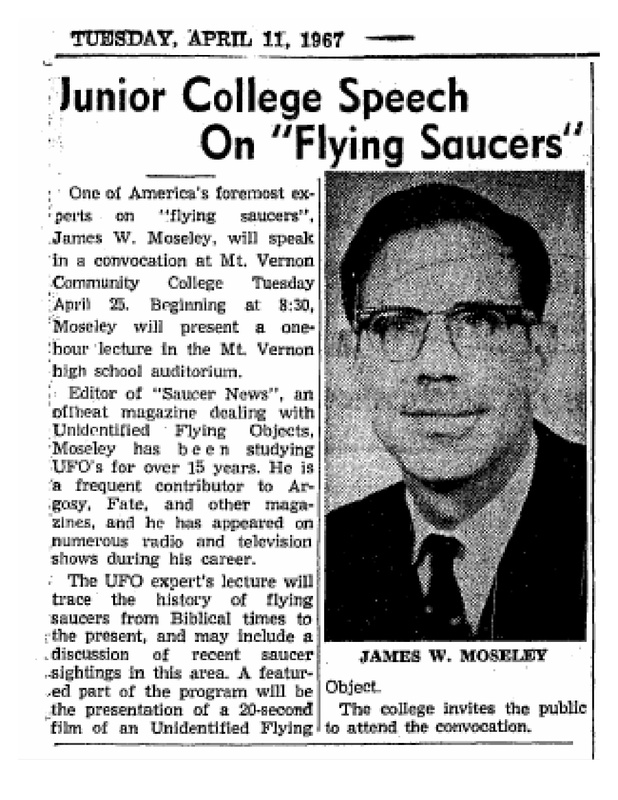 An article for The Southeast Missourian – Mar 14, 1968, “1967 Flap Over Flying Saucers” by Pete Brown describes Moseley’s lecture at Southern Illinois University. 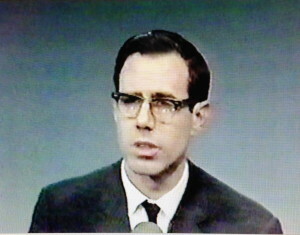 Moseley in 1968 on the Joe Pyne talks show. Low resolution clip of Moseley presenting the film on TV. Within a year, Moseley’s friend Gray Barker had bought Saucer News, and started selling prints of the film, described as featuring an “Adamski-type” saucer, and indeed, the Lost Creek Saucer did seem to be a twin for the Venusian saucer filmed by George Adamski! 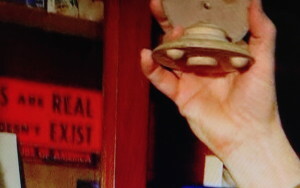 1001: The Lost Creek Saucer: Saucer follows car as two men return from Little League game. They get some excellent photographs of Adamski-type saucer. Freeze-frame action and slow motion included. “Moseley showed a film that two men in Lost Creek, West Virginia took en route to a little League game. These men caught sight of an object hovering about the trees. While they loaded their camera, the object disappeared from sight, but luckily returned when they were ready and waiting to film. On July 3, 1966, John Sheets, a house painter, accompanied his employer who had taken movies of a Little League game in Weston. They left Route 19 near Lost Creek for a short cut to Clarksburg on their way home. Sheets, looking out the car window for deer that abounded in the wild rural area, was puzzled and startled when he spotted a dish-shaped flying object surmounted by a dome with portholes, following them. He shouted for the driver to stop as the object disappeared behind a hill. His employer, remembering he had unexposed footage left in his 16mm Bolex movie camera, reached for it on the back seat. As he did so the object returned and swooped down toward them, then retreated and repeated the maneuver. 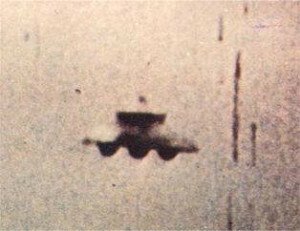 Despite his excitement and fright, the amateur photographer managed to shoot several feet of film, with many sharp frames, some of which when enlarged display a recognizable antenna, and ball-like “landing gear,” similar to many still photographs taken by other witnesses. Barker’s article was quoted in Redcoats, Redskins and Red-eyed Monsters: West Virginia, Its History and People by E. Lee North in 1979, further spreading the story of the Lost Creek saucer. Moseley, demonstrating the magic of cinema. 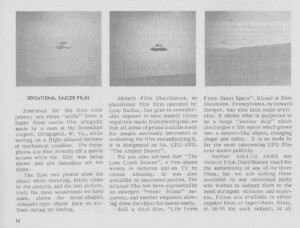 The Lost Creek Saucer sighting was brainstormed by Barker and James Moseley in early 1966. 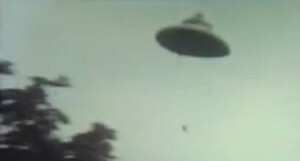 The idea was to produce footage of a flying saucer. 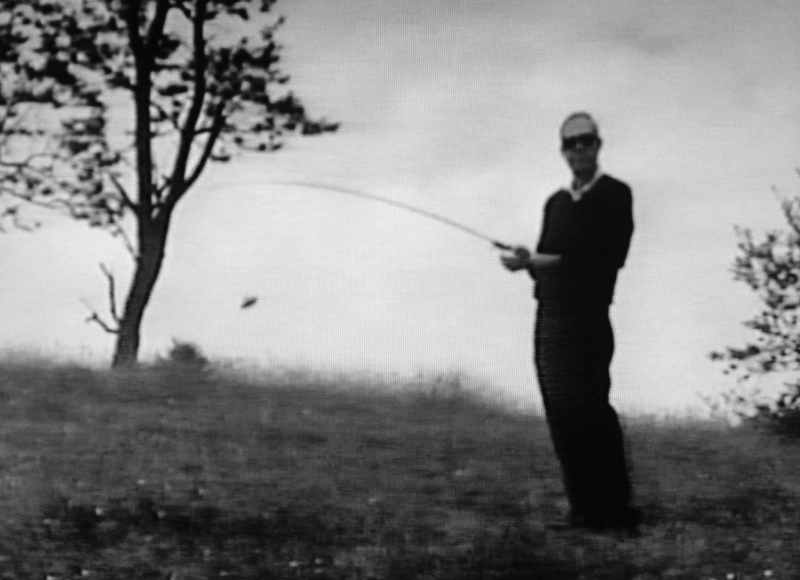 On July 26, 1966, they had John Sheets—one of Barker’s researchers—hold a ceramic “boogie” (bogus) saucer on a fishing pole in front of a car; while Moseley drove, and Barker filmed. 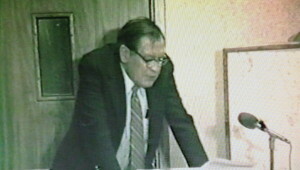 Afterward, Moseley played the film during his UFO lectures, and Barker sold copies of the footage via his mail-order film business. Both men continued to claim that Sheets had innocently recorded the saucer landing. The camera always adds ten pounds. Just as P. T. Barnum had done by creating his own Cardiff Giant to exhibit, Moseley and Barker created a counterfeit film of a George Adamski flying saucer, a fake of a fake. The choice was a good one, as it had already been imitated by others, including Cedric Allingham and Howard Menger, so it would blend right in as part of the pattern. There was nothing new or revolutionary about it, the film just illustrated a fairly typical close encounter of the first kind of a daylight disk. The fact that it was a model bouncing and swinging on a string didn’t seem to bother those who already believed, and some of them cited the peculiar movements as a “falling leaf motion” typical to saucers’ propulsion system and flight. Barker’s saucer model, and its reenactment stand-in. In Shockingly Close to the Truth! 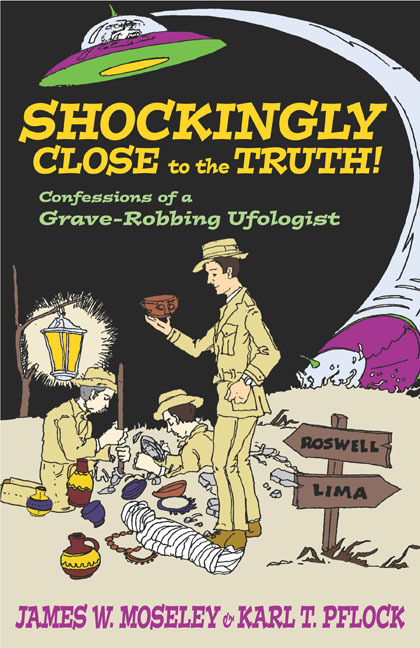 Confessions of a Grave-Robbing Ufologist , Prometheus, 2002, Moseley (with the help of Karl Pflock) told the story in print for the first time, and in Saucer Smear Vol. 57, No. 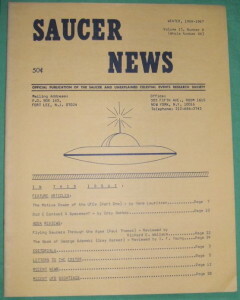 5, May 15, 2011, revealed even more, including a “pre-production” still of Gray Barker and John Sheets with their model flying saucer. Discussing his gig as a speaker, he “needed a focal point for (my) lecture.” Moseley explained how he drove the car, Barker filmed from the passenger seat, and Sheets was on the roof dangling the saucer from a fishing pole. 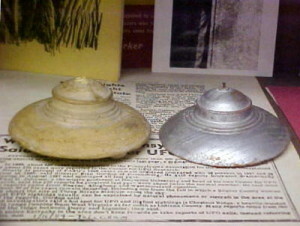 Barker & Sheets with a bogus saucer, seemingly a larger, different model than the one filmed. “At the colleges, it was interesting to see the audience’s reaction to the film. Those who really wanted to Believe did so, and among others there was sometimes muffled laughter. But over all, the film was found to be acceptable, and was even picked up (without permission) by a widely-circulated TV documentary in the subject. What Moseley didn’t say was how or why the Lost Creek Saucer film was retired, but it all seems to relate to his campus lectures coming to an end. In a 1994 interview with Greg Bishop for the Excluded Middle, Moseley explained his rise and fall as a lecturer. 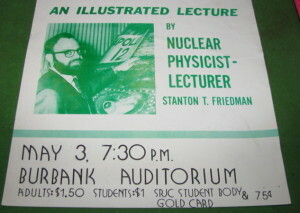 So, in effect, Stanton Friedman crashed the Lost Creek Saucer. 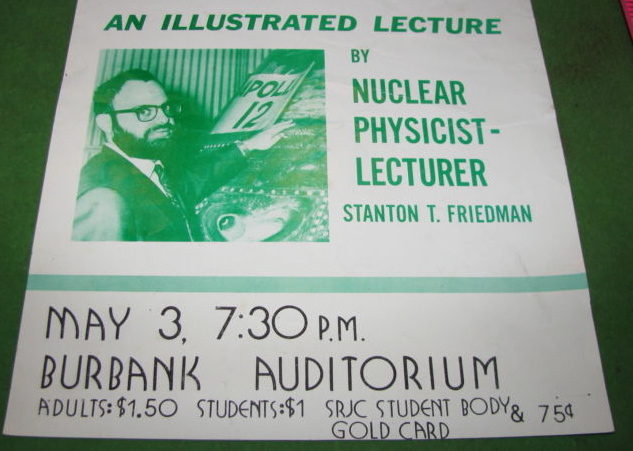 While Moseley was on the lecture circuit, he too was an entertainer. Not all issues are as simple as black and white. Is your editor sorry for what he and Gray Barker did? Your editor never saw any great harm in it, but we can easily understand why Completely Serious Researchers were offended. Was Gray Barker sorry? Only sorry the Feds turned out to have no sense of humor! So now with one less mystery than yesterday, let us all Press On now, to a reasonable and hopefully accurate solution to the flying saucer enigma. At times we will be serious, at times we will attempt to be facetious, and at times we will not be certain whether we are being serious or facetious, and you will have to make up your own minds. 1 James W. Moseley & Karl Pflock, Shockingly Close to the Truth!, Prometheus, 2002, pp 199-201. A special thanks to Timothy Green Beckley and Rick Hilberg for their background details and comments. Additional thanks to Isaac Koi and Vicente-Juan Ballester Olmos! 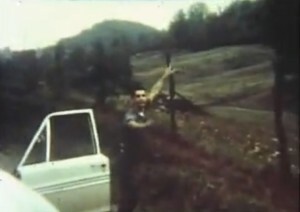 Despite the timeframe, and stylistic similarity the Lost Creek saucer film was not inspired by the Patterson–Gimlin Bigfoot film. LCS preceded it by over a year, Bigfoot was filmed October 20, 1967. 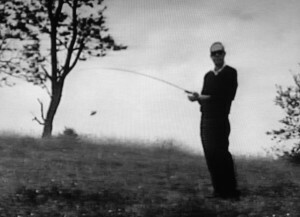 Gray Barker produced another saucer film that Jim Moseley was not involved in, taken at Benedum Airport, West Virginia allegedly on May 30, 1967. The same model appears to have been used as in the Lost Creek film. The Lost Creek saga sounds similar to a later, famous disclosure: an anonymous source provides a roll of undeveloped film with UFO evidence to a researcher serving as a middle man, who then shares it where it be taken public. Shades of MJ-12! Bill Moore often used Gray Barker as a source, perhaps a role model as well!